After hearing rumors of this new Staples Arc / Levenger Circa clone from Office Depot MONTHS ago, I finally saw it in person!! It’s called the Foray Revolution system. I had stopped in my local Office Depot on a whim during lunch last week, and there it was. Right when I walked in, I spotted it – a small display near the school supplies. Everything was on clearance and the display had lots of missing items. So that makes me wonder if that’s not a great sign for the product’s longevity? The colors and styles of this new system are bright and cute. They seem to be targeting a slightly younger demographic than the more sedate colors of the Arc and Circa systems. Perhaps more school supply oriented rather than professional/business use. Anyways, at only $5 or less for a notebook, of course I had to get one to try out. I was drawn to this Junior size (approximately 8 x 5.5″ – I’m too lazy to find the exact size) because of its pretty pale pink cover and gray discs. A close-up of the packaging. The cover of the notebook when not behind the plastic cover. In addition to the pale pink shown, the notebook comes with two other reversible coversheets made of thick cardstock, which comprises the “6 cover styles included” on the packaging. A sample of some of the other covers included. All in shades of black and gray. The other notebook with the pink discs had brighter covers. The paper has slighly smaller “smurfs” or punch holes than the Circa. The Revolution brand was highlighted in orange, than a sheet from a Levenger Circa overlaid to illustrate the differences. In theory, the larger the opening (the “cap” of the mushroom shape) the easier pages turn on the discs. In all practicality though, the size of the smurfs is the exact same size as with the Staples Arc and those created by some older Levenger Circa punches, and it really doesn’t make that big a difference in everyday use. I use the Staples Arc punch for my custom refills that I use daily, and have not had any problems. The cover is a little wider too, as shown here, The black is the new Office Depot coversheet, and the tan is a Levenger Junior coversheet. The primary critique I have of this Revolution system is the same I have with the Staples Arc system: the paper is excellent and works well with fountain pens, with no feathering or bleedthrough that I could see. The discs however, are cheaply made and make page turning a PITA. No wonder newcomers might get turned off from discbound systems! The pages stick to the cheap plastic and come off too easily. Everybody who really loves the discbound concept, do yourself a huge favor and buy Levenger discs instead. Yes they are more expensive, but their quality and smoothness – especially the aluminum discs – make a WORLD of difference. So, just like with Staples, I cannibalize what I like, adding it to my existing Levenger Circa setup and discarding the rest. 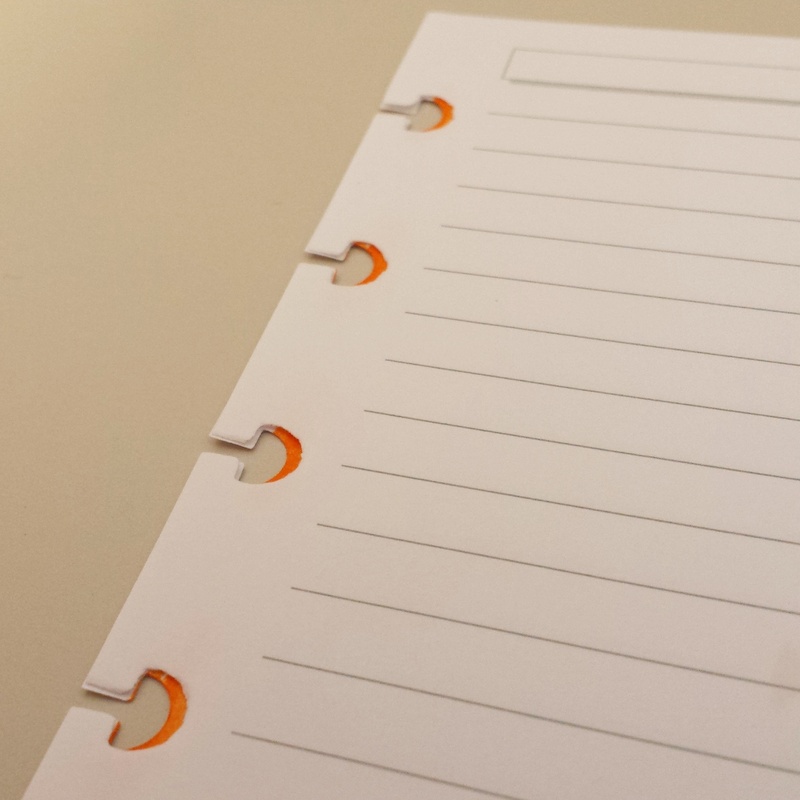 So here is my new Revolution system plastic cover and coversheet on my junior Levenger Circa notebook with platinum aluminum discs and custom paper refills. The inside of my junior Levenger Circa setup. I use it as my primary planner/brain dump/note-taking source for both work and home tasks. For me, it’s easier to just have one place, even if I end up using it mostly for work. It’s not the most portable, but I’ve tried the Levenger compact size, and it’s just too small for me. 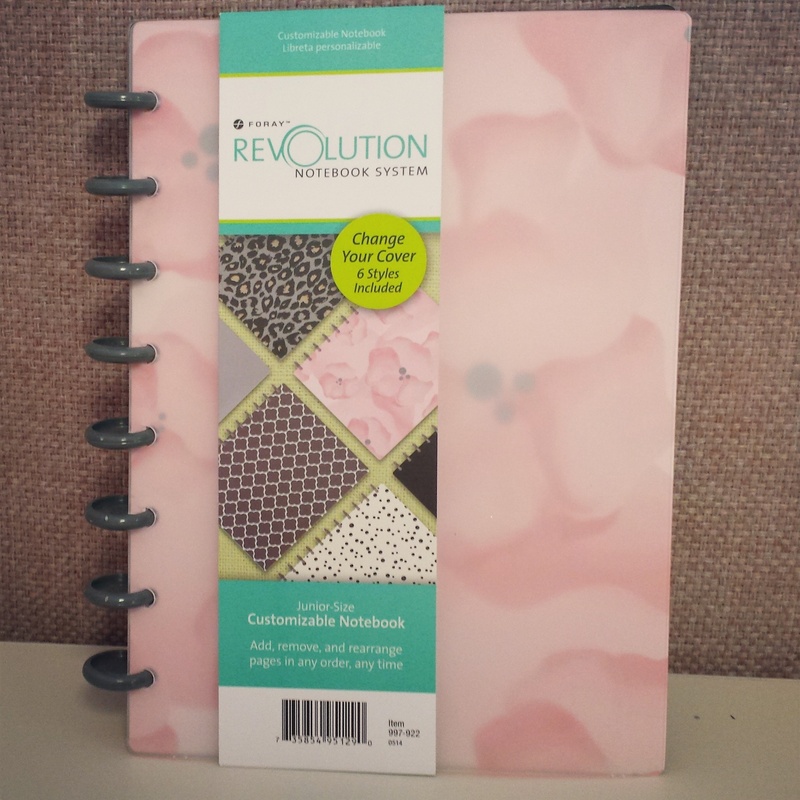 As you can see from this pic, the new Revolution cover is much wider than the Levenger tabs, whereas before the Levenger junior cover I had just met the tabs. Thank you so much for this review! I have several friends who jumped on the Arc bandwagon, but the cost was really bothersome – mostly the cost of the hole punch to be honest. 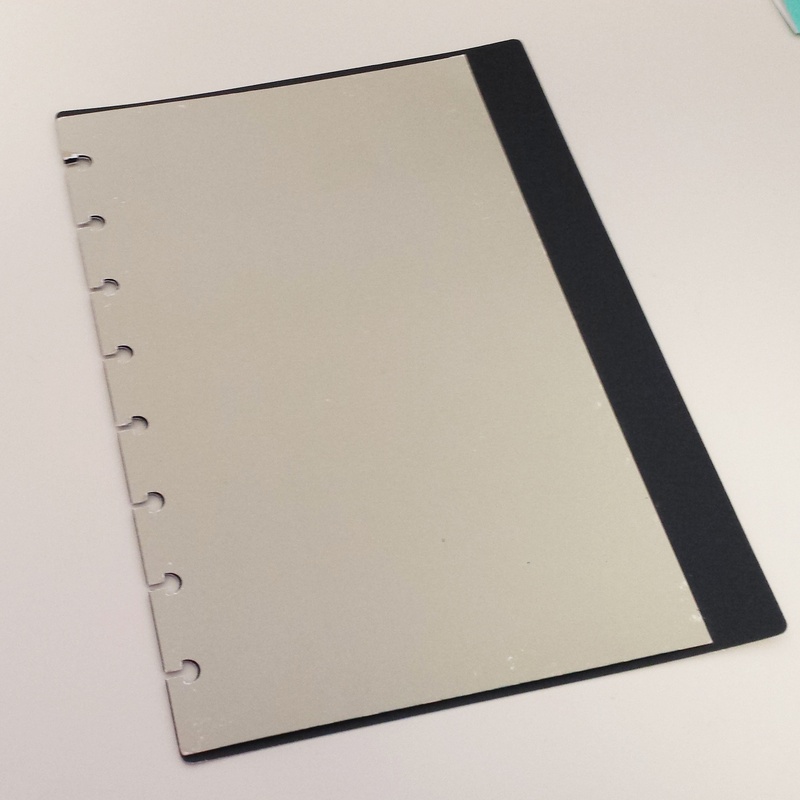 I lusted over their notebooks, but I tend to go from one system to the next every few months so the thought of dropping $40 on the hole punch alone was enough to keep me from doing it (I know myself too well). 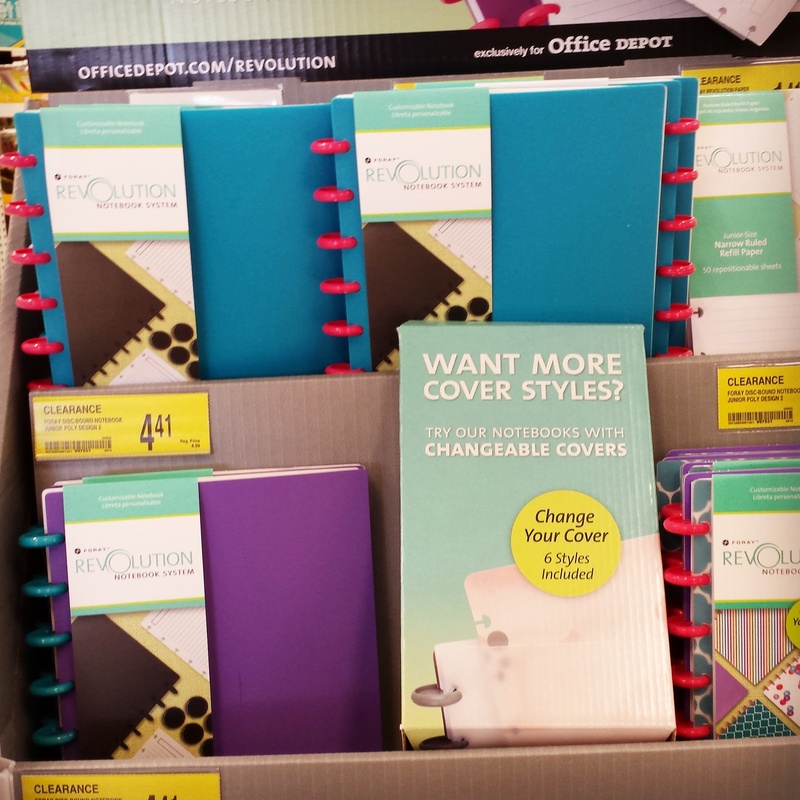 But then I walked into Office Depot and the Revolution was $1.97 – no accessories available, but the price was right. I’m SO GLAD to hear that these products/papers/circle things are all interchangeable. And yes – just 4 pages into my notebook and 2 of them popped off as I turned the page. I will invest in the heavier rings and see if I can find a cheap “travel sized” punch in any of the product lines. Hi Sarah! 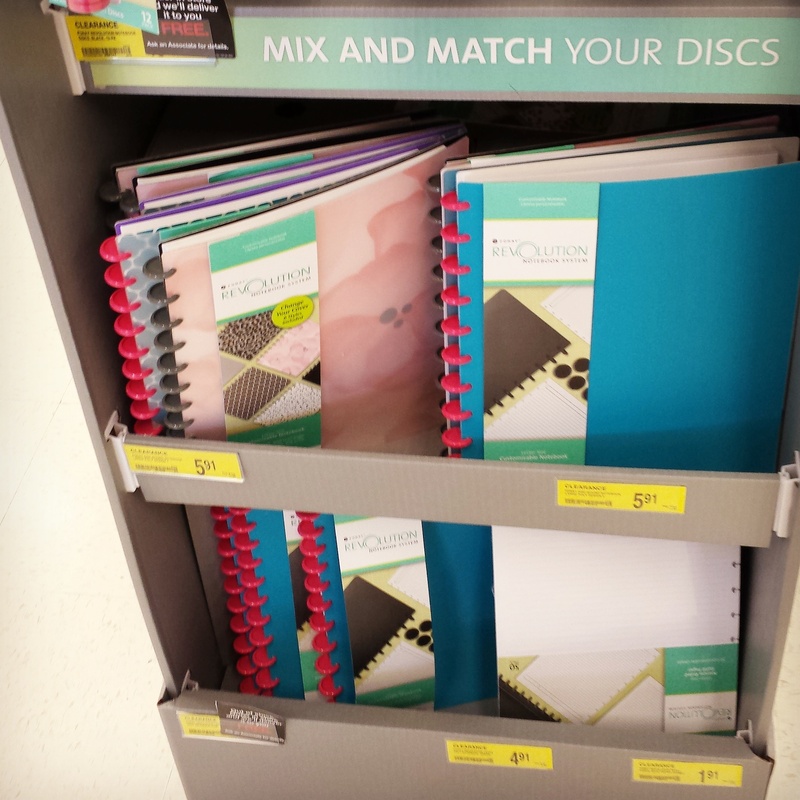 Yes, the Office Depot notebooks are fabulous for the covers and paper, but as you found out, definitely not the discs haha. But if you can find metal discs from Levenger, they can make a world of difference. Check ebay and the Levenger website outlet as they are often on sale there. Good luck! Please, please, please email me where you get the disc punched graph paper! Thank you. I had actually requested these custom made from the Etsy shop I usually get my pages from. They never got back to me and free is a much better price!! !